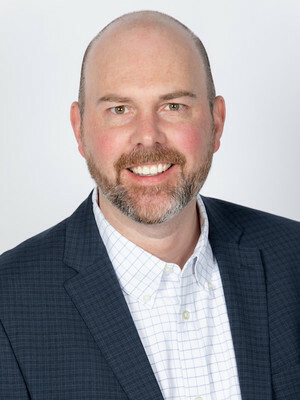 Nathan Elwell is a co-founder and partner of Lincoln Churchill Advisors and specializes in guiding the strategic direction of his clients’ communications programs. He has extensive experience helping clients successfully address critical events such as: strategic transformations, positioning and messaging projects, crisis preparedness and issues management, mergers & acquisitions, IPOs and other equity offerings, shareholder activism, executive management changes, market intelligence counsel, and designing and implementing best-practice investor relations programs. During his more than 17-year communications career, Mr. Elwell has advised more than 50 clients across a variety of industries, including: consumer & retail, healthcare & life sciences, industrial, and technology & telecom. Mr. Elwell has also acted as an outsourced investor relations officer for several clients. Prior to founding Lincoln Churchill Advisors, Mr. Elwell was the President of Waveney Communications Consulting. From 2007 until 2015, Mr. Elwell was part of the Strategic Communications practice of FTI Consulting. Mr. Elwell joined FTI as a Senior Vice President (SVP) and was promoted twice, first to General Manager of the firm’s Chicago office and then to Managing Director. During his time at FTI, he focused on developing and executing comprehensive communications strategies for clients in a variety of industries ranging in size from micro- to mega-cap. Prior to joining FTI Consulting, Mr. Elwell was an SVP at Ashton Partners, a leading communications firm specializing in investor relations. Mr. Elwell joined the boutique firm in 1999 and was an integral part of its growth to become one of the largest independent investor relations consulting firms in North America. Earlier in his career, Mr. Elwell was a research executive with Dudley Training & Enterprise Council (TEC) in Great Britain, where he was the main source for local economic information and produced labor market research projects. Mr. Elwell graduated with honors from The University of East Anglia, Norwich, Great Britain with a B.A in Economics and a minor in Economic History.